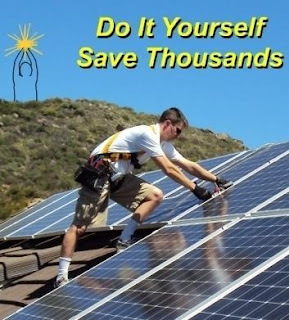 If you are interested in going green with solar on your home or business but aren't willing to pay for top dollar installation, do it yourself solar in a box is a great option. Our Environmental Booty partner, Go Green Solar, has teamed up with "That Solar Guy" Jeff VanDam to offer customized, do it yourself solar systems in a box. Go Green Solar and That Solar Guy, Jeff VanDam, make it easy to save thousands on installing a customized system that they will help you create. And they will do it with top quality, one on one, customer service. "Very happy I chose Go Green Solar!" "Go Green Solar were able to get me the exact solar panels I needed at a very good price. But here is the biggest reason I would recommend them; I was having a difficult time figuring out my electrical plan on my 2 kilowatt grid tie system, I called Go Green and they put me on to their tech person who researched for the information I needed. He called me back and the problem was resolved even though the item I needed help with was not even purchased from Go Green. True caring customer service." 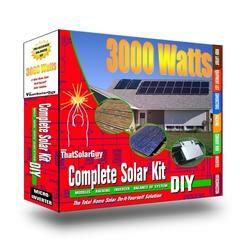 So now you know you can count on reliable help from Go Green Solar but before you contact them, you need to determine the size of the solar kit you need for your home or business. But guess what? The size of your home or business has nothing to do with determining the amount of solar power you need! It all depends on how much energy you are currently using. It is super easy to request a quote today on your custom solar kit. Just average your home or business' average monthly power usage in kWh (Kilowatt-hour(s)) and use this form to get started saving energy and money on your monthly power bill. With expert guidance from Go Green Solar and That Solar Guy, Jeff VanDam, you bet you can go green with do it yourself installation!